3. Trip of a Lifetime. Our next stop was Zakopane. 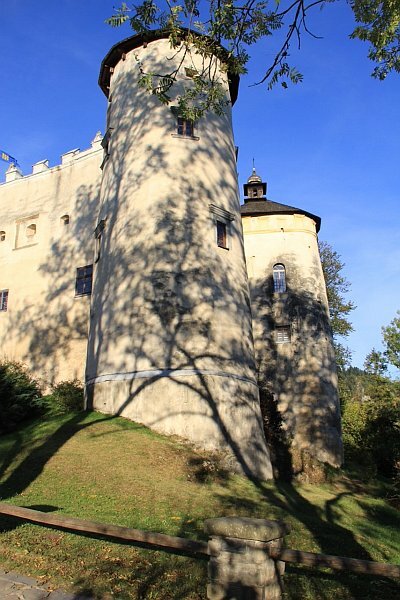 On our way we stopped at Niedzica Castle, an amazing structure built in the 1300’s. We marveled at what it took to construct this place with the limited tools they must have had. Certainly something we’d never see at home! 2. Trip of a Lifetime. During one of these trips we stopped at a tiny village store in Chotowa and Zenon asked the store owner if she knew of the Piech name. She became very excited and was talking faster than Zenon could translate as she drew a map of property lines. As it turned out the Piech family she was speaking of wasn’t more than 4 or 5 houses away! With much excitement we jumped into the car and off we went. The woman at the house was very gracious but couldn’t give us a lot of detail, as this was her husband’s family. She asked if we could come back the next day at 3pm when he would be home. Needless to say we were happy to do so. 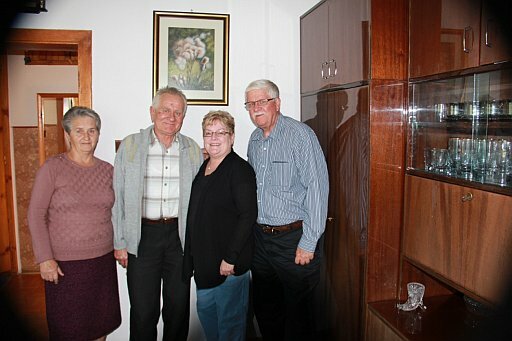 And the next day we were introduced to Wladyslaw and Irena Piech. What a wonderful couple. I was so touched when he took my hand, kissed it three times and told me he was so happy family from the United States was looking for them. My heart was full! We are not quite sure yet how it all fits together but suspect his great grandfather, who we think is Wojciech, and my great grandfather, Stanislaus, were brothers. Wladyslaw remembers letters coming from Chicago but wasn’t able to find them while we were there. Hopefully, he will be successful in his search and we can verify the connection. We left Chotowa feeling incredibly grateful, amazingly happy and astounded that Zenon had indeed topped himself from the previous days, which also led to a discussion of how at times it feels as if our ancestors guide us in our search. 1. Trip of a Lifetime. I had the pleasure of finding the PolishOrigins site about a year ago. While I haven’t been able to establish a family connection with anyone with the same Piech surname, I have truly enjoyed others stories and connections. After years of searching records for my great grandfather,Stanislaus Piech, I only had the very vague answer of his origin as ” Poland”. I knew the family had come from Poland to Chicago in 1880. The one clue I did have was my great grandmother’s death certificate. On it her daughter listed her mother’s birthplace as Sedziszow, Poland. In reviewing LDS films it was clear Stanislaus was not from the immediate area. But, surely he must be from a village somewhere close. There were a few clues of other family members from the US on Ancestry and Family Search, but, nothing to help with my mystery man, Stanislaus. I felt I had exhausted my research in the United States.